Learning new and difficult things can be boring. No one will contradict that. You’ve had your time in a classroom with teachers who just keep on lecturing and lecturing and lecturing. You have to admit that there were some mornings you didn’t want to get out your bed to stare at that teacher’s face. And now… you are that teacher. Ironic, isn’t it? I bet you always wanted to be better than your own teachers, or wanted to be like that one cool teacher you had. Engaging your students is a hard task, but not an impossible one. Tom Cruise always got a way to accomplish a “mission impossible”. So why can’t you? 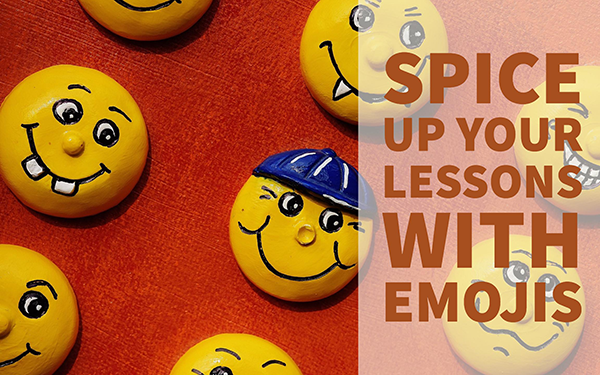 Spice up your lessons with emojis. 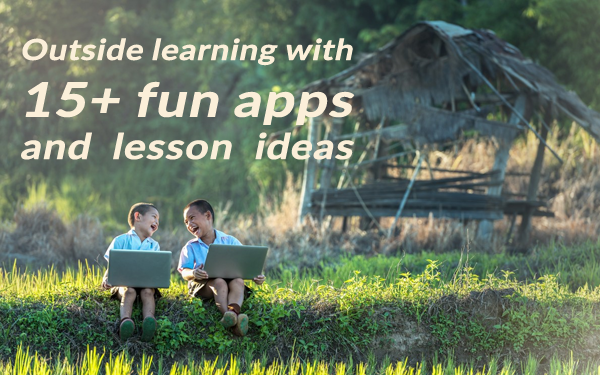 Using emojis in the classroom is something different, modern, and it keeps your students engaged. Just take the jump! 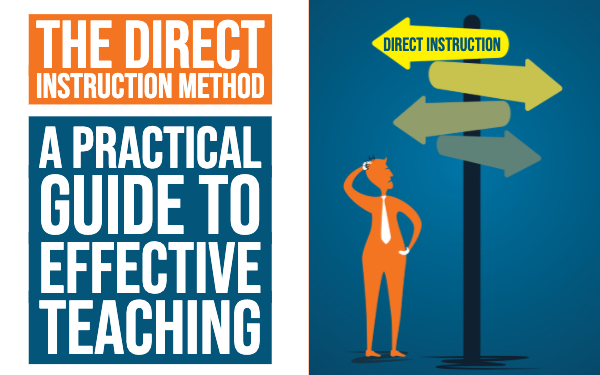 This exercise can be used as a rehearsal exercise. After teaching your students a lesson about a certain topic, you can show your students emojis that relate to that certain topic. Your students have to explain how each emoticon is related to the topic they just learned about. You can also add these emojis at every end of a lesson. It’s a visual reminder of the lesson topic and it will help your students to learn better. This exercise is actually just like the popular game “Guess who”. This game is so much fun AND it teaches your students to describe a person. Instead of a character out of the game, your students get a chart with emoticon characters. In BookWidgets, you can make a lot of fun exercises. This exercise’s goal is to practice speaking. Add different wheels with emojis. Let your students spin the wheel and tell a story about the emoticons that appear. Their stories will be so funny. They are only limited by their own imagination. Click on the link below to go to the exercise. 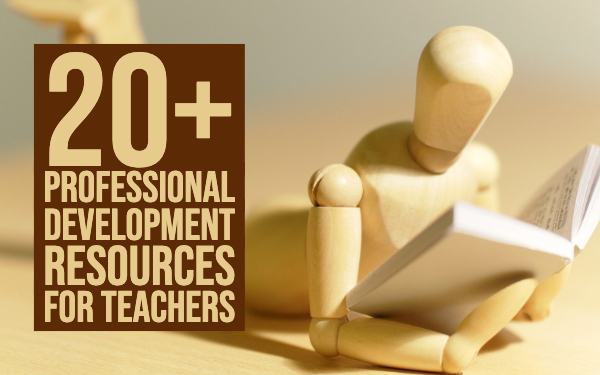 Copy the link and let your students open it on their computer, smartphone or tablet and you can get started right away! You can create a deck of flash cards with sight words for the youngest to learn to read; when they read the word, they can flip the card to get a picture of what they just read, both as confirmation and as a reward for getting it right. Take a look at the exercise by clicking the link below. Word search puzzles can be a great way to teach young kids to read. They can match the letters from the description list with the letters from the center to get to know the letters and words. You can make things a little bit harder by removing the words from the list, and replace them by emojis, giving them the chance to learn the letters by heart. For younger children, it’s a great way to help them tell a story as they can use the pictures. This way, they don’t have worry about writing tricky or unfamiliar words. Ask your students to write a Rebus. A rebus is a story where pictures replace words or parts of words. This exercise can be a really challenging activity. Students can write their own stories or retell stories they have read in class, or rewrite some traditional stories. Take a look at this example I got from Mr. P’s ICT blog. Click on the image for more examples. When your students have to read a book, they often have to make a summary of the book to prove they have read it. It’s boring, and you can find so many book reviews online. 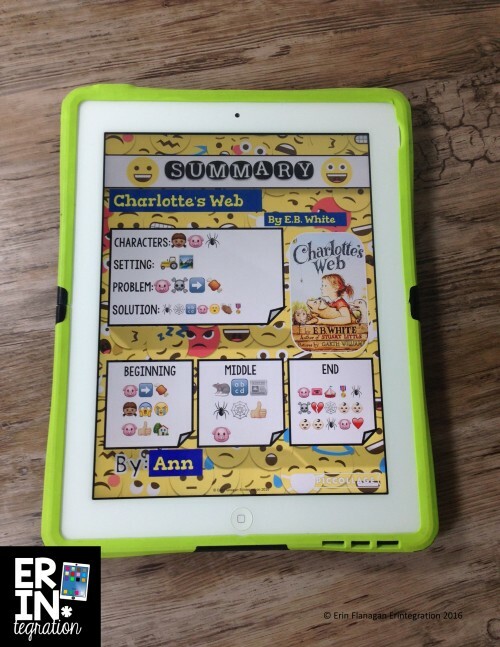 So here’s another lesson idea using emoticons in the classroom: let students summarize their book with emojis. Use emoticons to describe the characters, the setting of the book, the problem and the solution. 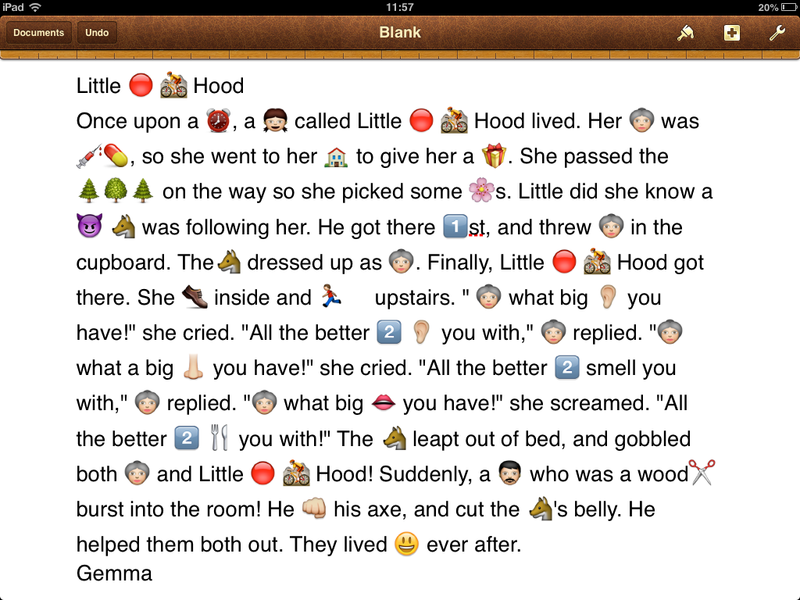 Then let your students summarize the complete story with emoticons. I saw this idea on the blog ErinTegration. Take a look at this amazing example. When you think about teaching with emojis, your first thought is probably “exit tickets!”. Yes, you’re right. Emojis are often used in exit tickets. Take for example this BookWidgets Exit ticket. Here, students have to tick off an emoji that matches their understandings. The image below shows an example of a BookWidgets exit ticket. Finally, to close the lesson, you could let your students assess themselves. 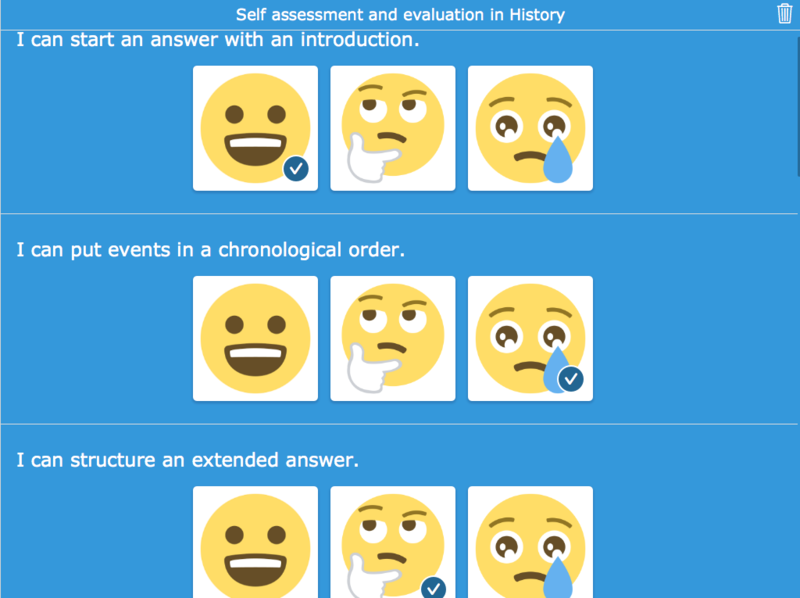 To make those self assessments more fun than an ordinary worksheet, you should use emojis. 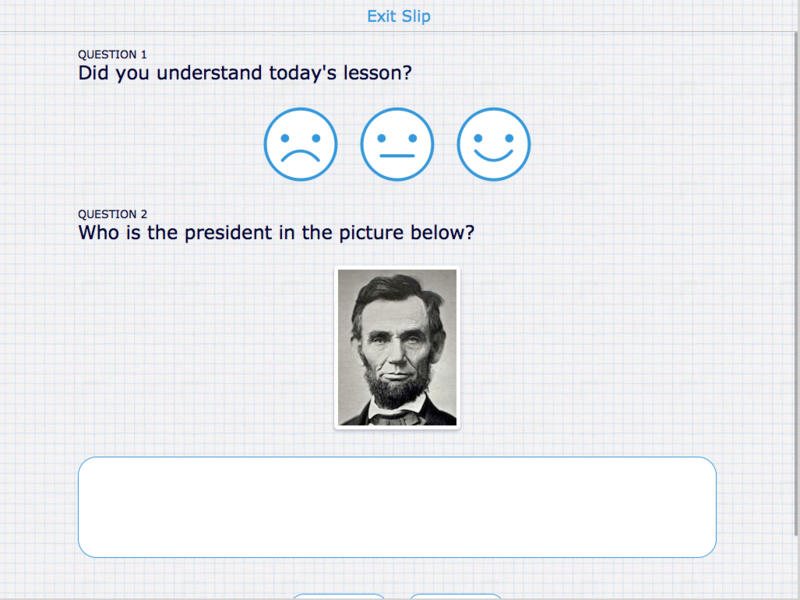 Take a look at this example of a digital worksheet.